From the touching scenes of seeing a beggar fill his bottle with dirty water from a roadside pit to women queuing and fighting every morning to fill their pots with water for their families, our inspiration primarily comes from these harsh realities of life that we have seen in front of our eyes. Despite being a basic human right, access of clean water isn't available to many. Yet, more often, we city dwelling folks take this blessing for granted. Also, water crisis is a global phenomena. The problem is so interconnected that it cannot be addressed on an individual or national level. In California, while it is understood that agriculture remains one of the major users of water, putting substantial pressure on this sector to reduce its water usage can create a ripple effect on the economy through increased food prices and unemployment. It is these realisations that led us to devise a solution for Urban Water management that holds the city dwelling folks accountable for their actions and is easily scalable globally. The solution aspires to use the power of technology to manage not just California’s but the world's water crisis problem and remind everyone that Water is a precious resource that needs to be used wisely. 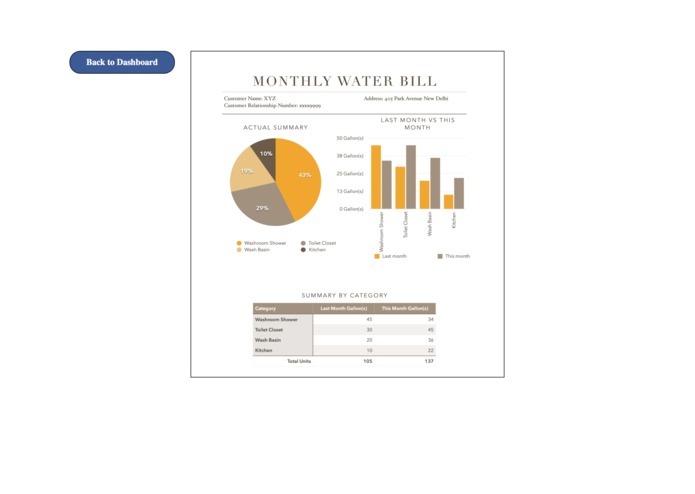 Our proposal to replace conventional water meters with Samsung ARTIK based Smart meters across California, coupled with a user friendly interactive dashboard with applied business intelligence in the background provides a completely digital and collaborative platform to effectively manage water consumption for consumers and water authorities alike. 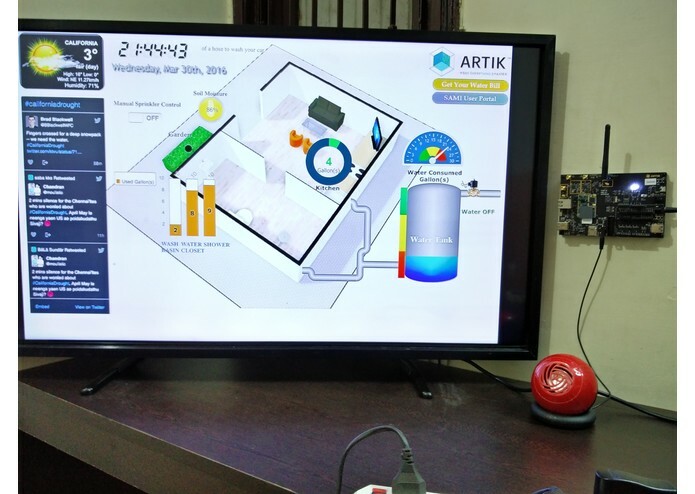 As the day starts, ARTIK installed in the home receives email from the water authorities and this initiates the filling of water tanks up to the daily limit of water allotted to a particular house. Once the water passes through the flow meter, an impeller rotates and toggles an output line which can be used to calculate the amount of water used. Each pipeline is installed with water flow meters to give water consumed readings for an individual activity. 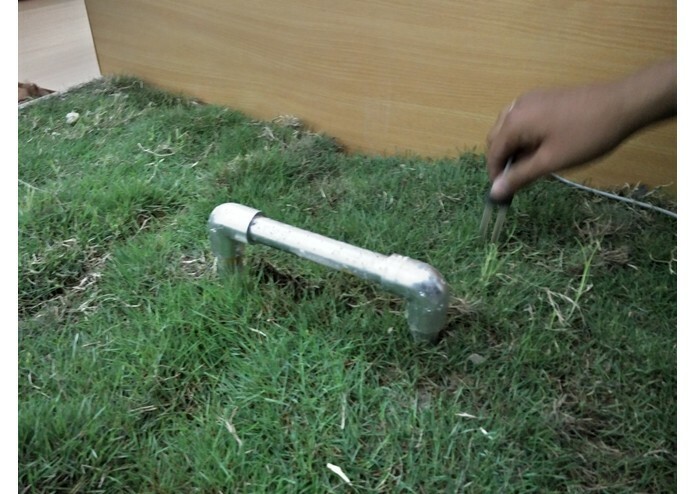 In addition, moisture sensor are provided to measure the moisture level in the areas like garden. 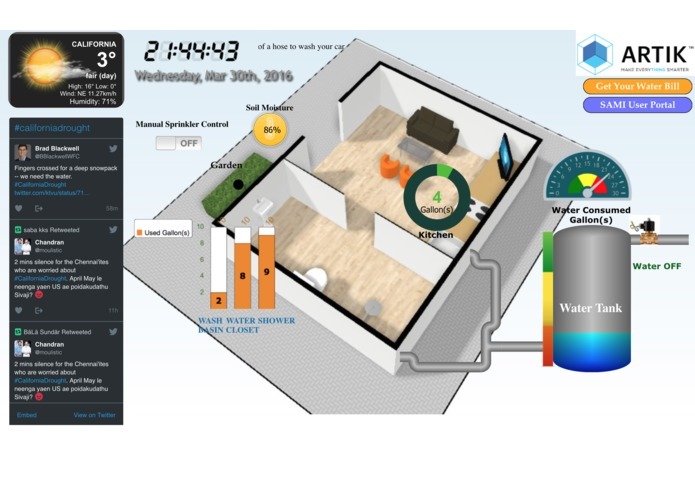 An interactive dashboard is designed to provide real time water consumption data to the user. The data is also uploaded to the SAMI cloud simultaneously. In addition to providing live consumption data, the dashboard provides live Twitter tweets and customized water saving tips thus allowing the homeowner to make better informed decisions. The smart meter and dashboard also serves as a link between the homeowner and the water authorities. Homeowner can directly report leaks and other problems to the authorities thus reducing water wastage. They can also view their water bills. For authorities, they can easily track and manage leakage and complaints centrally. They can also easily roll-out new regulations centrally. E.g. The Smart meter can be set to automatically disable the irrigation system for specific postcodes on specific days. (With compliance to privacy laws). 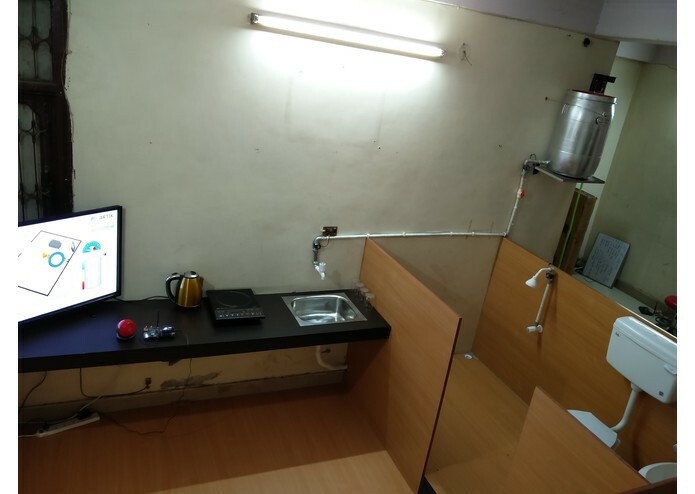 We took the word ‘Bulit’ so seriously that we actually built from scratch, a livable prototype model of a home having living room, kitchen, washroom and a garden area within our startup office space. The new home and bean bag is so comfy that nobody wants to work in their desks anymore! 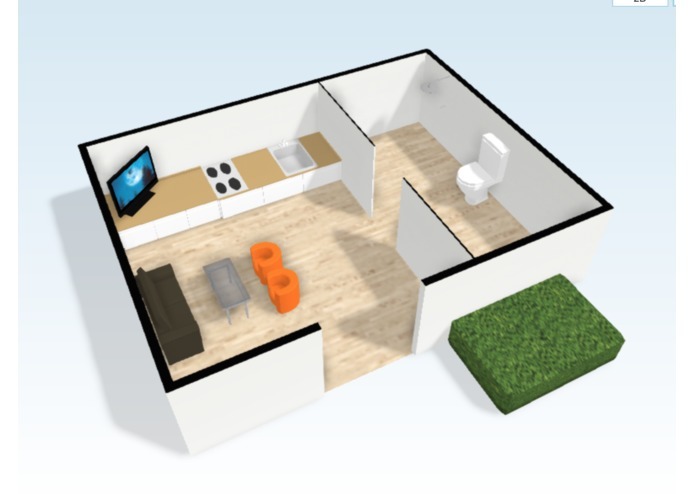 Next step was to make it a ‘Smart Home’. Wandering the market place in the scorching heats of Delhi and digging out the best deal for our sensors, we found that the prices for water meters vary quite drastically (from $250+ for industrial grade sensors to $6 for garden hose attachments that limit total usage based on rough estimates). We settled on a $6 water meter used for water heater (the YF-S201 Hall Effect Water Flow Counter) due to its accuracy, low price, small size, electronic sensing method that could be easily measured by a microcontroller (such as an Arduino) and obviously for its price too! Once we finished enjoying our milkshakes and admiring our new built home, it was time to get to the fun part. 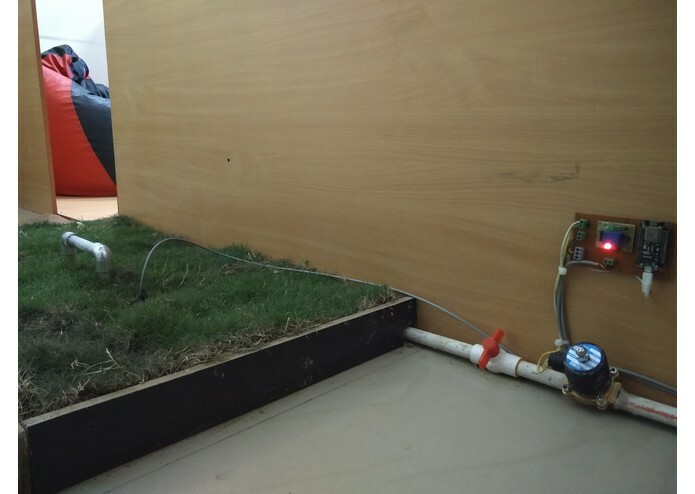 Firstly we embedded the water tank and all the pipes with sensors like water flow meters and outdoor garden areas with soil moisture sensor. Secondly, the conventional water meter was replaced with Samsung ARTIK 10. As MQTT has emerged as a standard messaging protocol for IoT, we followed the publish-subscribe (“pub/sub”) model here and ARTIK 10 plays a key role on the network as the "message broker". We set up an ARTIK 10 device with Mosquitto to become a simple MQTT broker and used Node-RED development tool to easily send and receive MQTT messages. 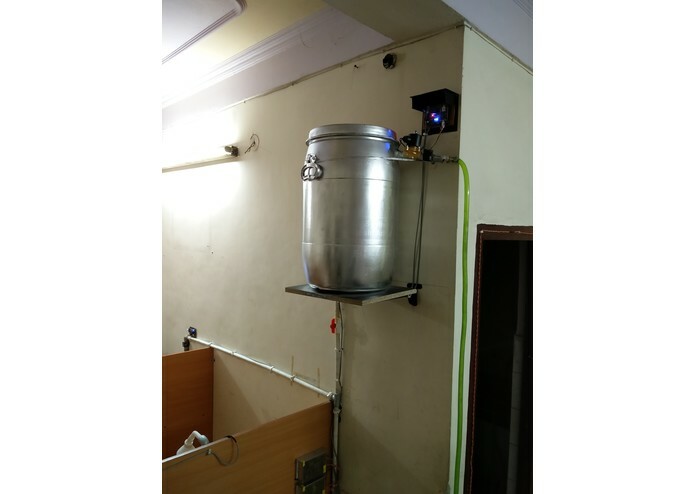 Since we wanted to have an internet connected data-stream of our water usage from all the pipes, we decided to try out the Node-MCU with built-in WiFi and made them as our edge devices. 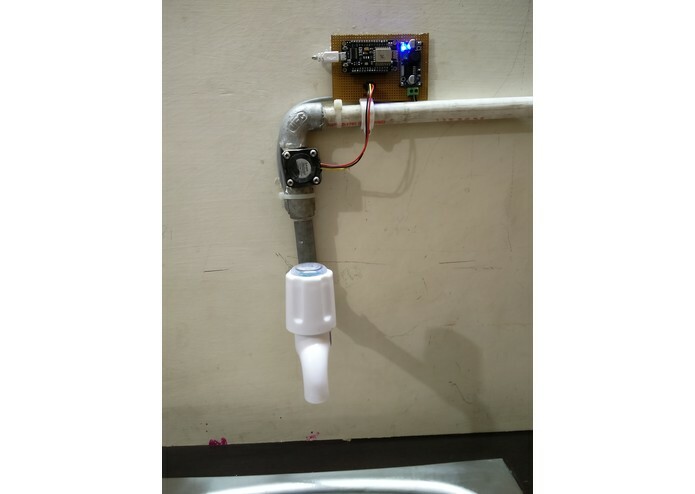 Each water flow meter is connected to its Node-MCU module having a code for sending water flow readings to the ARTIK running MQTT server. We then subscribed them to messages published to the broker (i.e. ARTIK 10). Data was then sent to the server (i.e. ARTIK 10) at regular intervals when the water source was in use. In total we have used: One flow meter for kitchen One each for shower, water closet and wash basin respectively. One flow meter for water inlet of tank and one flow meter for water outlet of the tank. 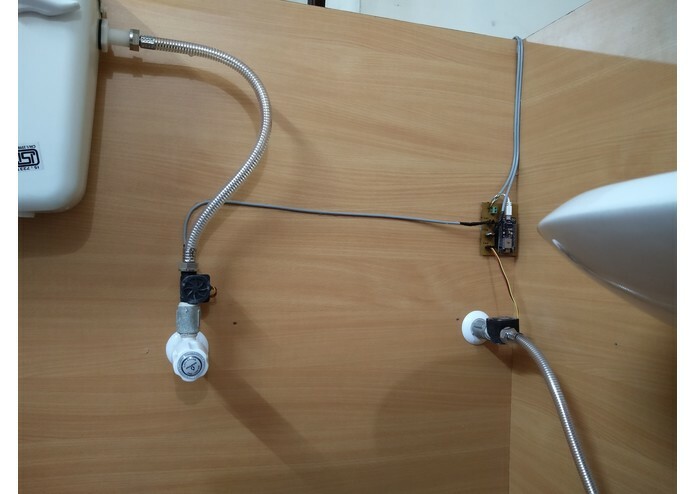 Apart from it we have used two water solenoids with Node-MCU which can be controlled wirelessly through ARTIK 10 and being a server connected to internet, the solenoids can be controlled externally by the authorities. First solenoid, integrated with soil moisture sensor for turning on the controlled water supply used for gardening the plants and another on the inlet of water tank. Only gardening solenoid can be controlled via our interactive dashboard. To visualize the data and make sense of water usage patterns over time, we made a dashboard using iobroker.vis on ARTIK 10 to achieve user friendly interactive display. This allowed us to place a display next to the drawing room for immediate feedback, while still offering us a more holistic view to compare multiple sources and look at first-order trends. 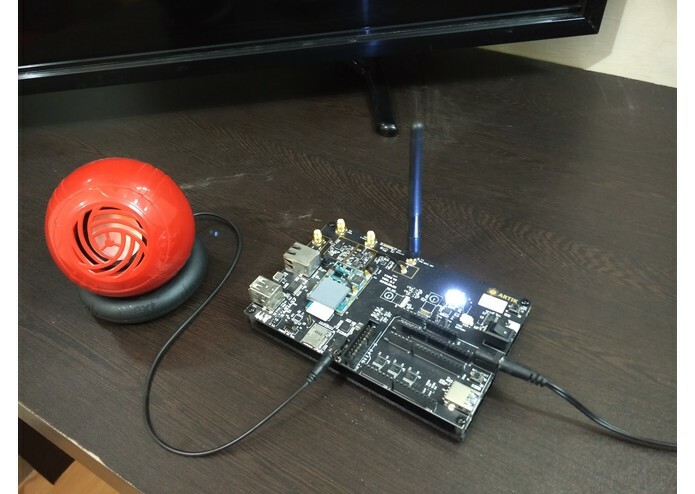 We think no HDMI input/output feature enabled on ARTIK 10 until the deadline of this challenge was the bigger challenge for us. This led to us having some problem creating and showing dashboard on ARTIK. While the dashboard was running on the ARTIK itself, but we have accessed it on the network on another machine. If HDMI input/output feature would have been there, we would have ran it locally. But we overcame this challenge by developing our own dashboard from scratch and running it on ARTIK server. Another challenge we faced is with Bluetooth connectivity. Initially we decided to send water consumed data from water flow meters to the ARTIK using ARTIK’s bluetooth. But due to frequent disconnections from the bluetooth we primarily relied on WiFi. We hope that ARTIK Developer community evolves more quickly and more developers start developing their solutions. We are proud of how we all pulled together as a team, created and tested a working prototype literally from scratch in the short time span. We are proud about all that we have learned in the process and all those late nights of brainstorming which we managed without much caffeine. Sure, there is ample scope for improvements, but the best part is that it proved to us that everything we have thought about and envisioned is definitely possible! We have learned a whole new set of skills ranging from building a home to hearing about new terms like MQTT and Mosquitto. We have learned that ARTIK is a powerful tool with immense future. We effectively edited the mosquitto configuration file to listen on multiple ports so we could manage to connect 8 devices (edge devices) to the mighty powerful ARTIK. Working on creating dashboard gave us an insight into the effort required to come up human-centric design that is user friendly and interactive. 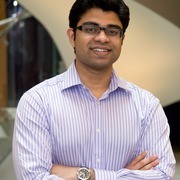 Data analytics and intelligent cloud management on SAMIIO Cloud enlightened us with the IoT ecosystem and how data can be analysed more lively and intelligent insights can be processed. But most importantly we have learned that our solution has great potential and with teamwork and dedication a lot can be achieved. Link the dashboards with various Education and Outreach programs that are currently being rolled over in California. After all, learning starts from our homes. Locality / Community based Gamification and introduction of incentives. This will make the water conservation a more social and fun affair. We plan to integrate Ultrasonic sensors with the water pipelines of a street/locality to detect leakages in the pipes and alert water authorities. Making the water flow meters installed in pipes self powered using the flow of the water itself. This will allow to run it continuously without electricity. Develop in-built intelligence to allow ARTIK to take feed from Moisture sensors and compare it with live weather report from internet to make better informed decisions. Potentially collaborate with pipe manufacturing companies to launch new products in the markets which have in-built sensors embedded in them. To test, take feedback, improve and repeat the cycle. I worked on the backend development of this project. Integrating node-red, MQTT and Mosquito on ARTIK 10 and sending data on SAMIIO Cloud. I did the electronics part and juggling with circuits. 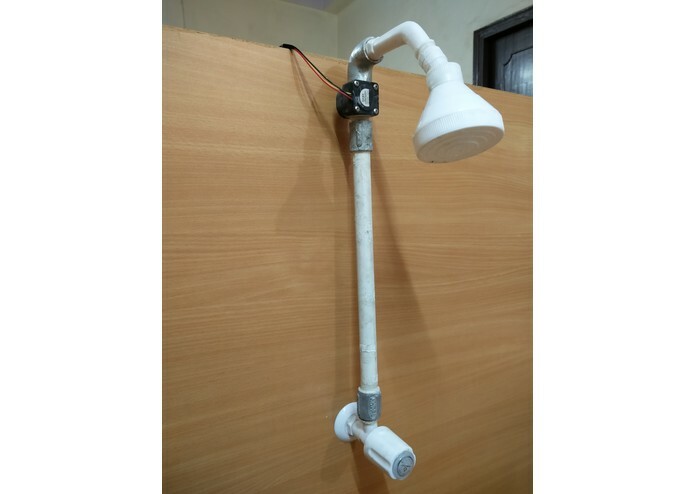 Integrated Arduino WiFi with ARTIK 10, solenoid controlled water supply and soil moisture sensing. Also worked on making a home-model. I did the background research, let my imagination run wild and formulated this idea and envisioned its possibilities. I provided ideas to make the dashboard more user friendly and interactive. 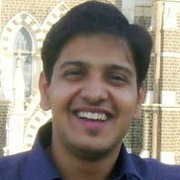 Helped make the project video and explain the concepts in simpler manner. 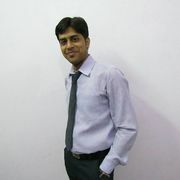 My role in this project was to design a user friendly dashboard. I worked as a front end developer in this project.